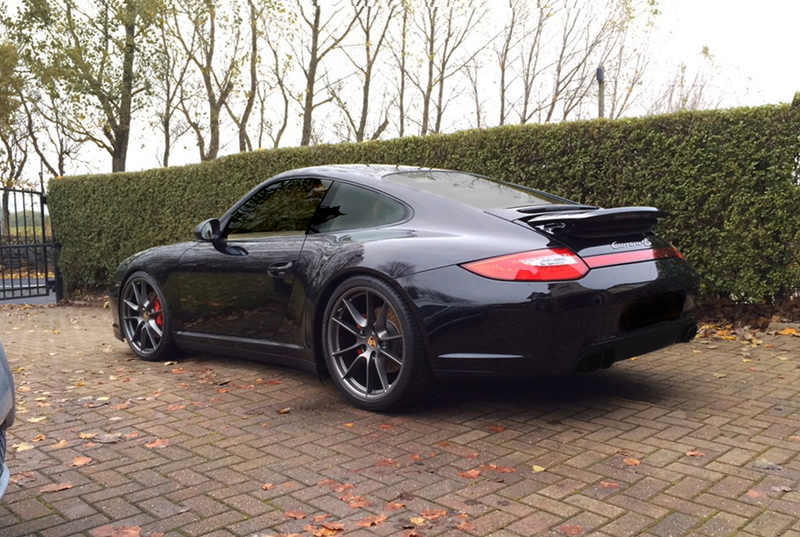 Will genuine 991 20" alloys fit on a 997. Yes they fit, I have genuine 991 4S wheels on my 997 4S. You do have to sacrifice some comfort though as you'll need a little bit smaller side wall than the 19's. I had to do quite a lot of research into it when I bought these 3 years ago because you have to keep the rolling radious front to rear ratio within a few percent or it can cause problems for four wheel drive cars. I'll have a look at my offsets and tire sizes as I can't remember exactly what they are off the top of my head. Fronts fit fine but the back needed a 15mm spacer. Hopefully I can attach a photo..
Have them on my 997.1 C2s, and about to sell them when I get some GT3 wheels ordered. Your car looks extremely handsome just as it is. Ha ha, thanks! Just fancy some smaller, wider wheels. I havd always liked the GT3 design. 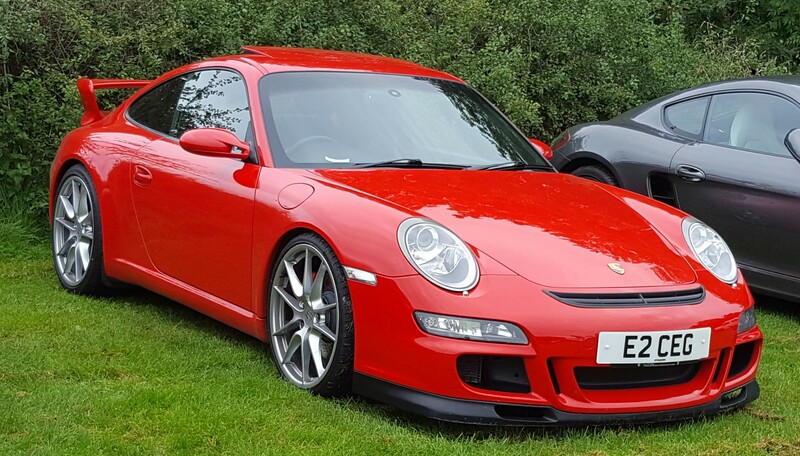 My red one above had them fitted when I bought it and I was surprised that the ride was pretty good, having previously had a 996 Carrera, 996 Turbo and a 986 Boxster to compare it with. I then had it lowered on H&R springs and fitted spacers and it still rides quite well, similar stiffness to the Turbo. Even lowered, no arch rolling and no catching. Hi, out of interest, what size tyres are those? Both, look great on those wheels. The 991 rim is lovely. Any idea about the weight of the 20" compared to the stock 997 jobs? I wanted to do this on my Turbo G/2, even found some genuine Panamera wheels that are the 20" version of the Turbo wheels for sale but when I came on here and asked for input I was pilloried for even considering it! You need to walk your own path my friend. That being said, I wouldn't be entirely sure I'd want big heavy reinforced SUV rims on my 997. Not that I've seen what you have in mind, or have any idea if they're reinforced, but when we've sourced aftermarket winter rims for the Discovery's they've needed TUV approval to be allowed. 20's are on a 997! Think your getting your Panameras and Cayennes mixed up, they were Panamera rims which are identical to Gen 2 Turbo wheels but 20".